Former Gulf War veteran and FBI agent, Joe (Phoenix), is an assassin for hire who helps to recover wayward children. But, when he is tasked with rescuing Nina (Samsonov), a US Senator’s kidnapped daughter, things go horribly wrong. 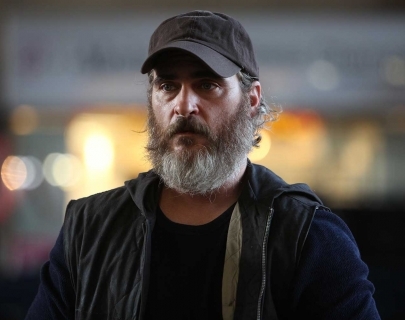 Featuring uncompromising imagery and Jonny Greenwood’s nerve-shredding score, You Were Never Really Here is a brutal portrayal of a man engaged in a cycle of violence he cannot escape.